We have been operating on the market for a long time, since 1995. Tomasz Urbański is the founder and CEO of Coniveo. His dream was to build a company that is important on the market, meeting the highest standards and perfectly suited to the needs of customers. Today, this dream is fulfilling. 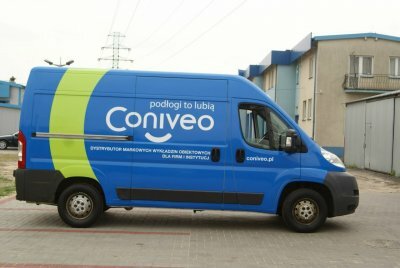 Coniveo is one of the largest companies in the floor coverings sector in Poland. Since 1995, it has been dealing in the distribution of branded flooring systems and floor accessories, as well as installation in offices and institutions, schools, hotels, and medical practices. The company has performed over 9,000 installations, which makes it an expert in the industry. 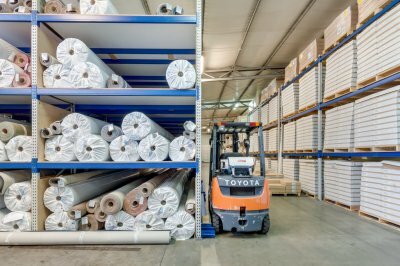 It has over 35,000 m2 of floor coverings available "off-the-shelf" in a warehouse in Warsaw. 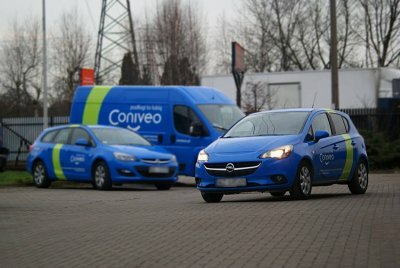 Coniveo is the owner of the Workstep brand - the first Polish brand of floor coverings for the office sector, as well as the exclusive distributor in Poland of Traper (wiper systems), Rollmat (floor mats) and Gripper (non-slip tapes), as well as a distributor of the high-class Vorwerk carpet coverings. The company cooperates directly with individual entrepreneurs, renovation and construction companies, as well as interior architects. A member of the Polish Association of Private Employers of Trade and Services affiliated with PKPP Lewiatan. A winner of many business awards. Additionally, a member of The Polish Trade and Services Association of the Floor Coverings Industry. Coniveo has 20 years of experience in the industry. 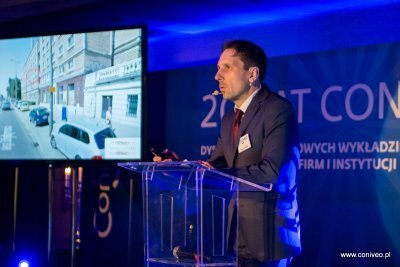 On 23 April on the Square of Krakowskie Przedmieście in Warsaw, there was a jubilee celebration summarizing 20 years of development of Coniveo. Coniveo's regular offer has floor coverings from the brands Workstep and Tarkett, nearly 80 tons of materials, including 35 thousand square meters of flooring in rolls, over 1000 packages of tile flooring, chair mats, accessories, and more. It is the largest warehouse with commercial floor coverings in Mazovia! fot. To our knowledge, it is the best equipped showroom in our part of the country. 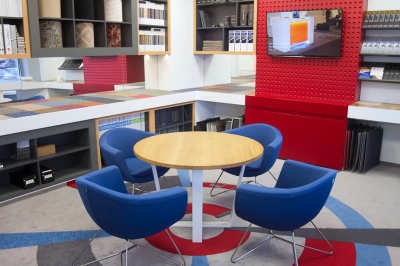 In one place, in comfortable conditions, you can get to see actual samples of most of the commercial floor coverings, wipers, chair mats, and non-slip tapes available on our market, while consulting with our experts. fot. The largest warehouse with commercial floor coverings in this part of the country. fot. Sales office and showroom at Białostocka street. Check out where we are - thanks to google maps.